On 15th Dec 1977 I ejected at very low altitude just a few seconds before the aircraft hit the ground in the Swiss Alps. I came down about 10 meters short of the impact point of the aircraft. The ejection seat was found amid the debris of what was once a Hawker Hunter. 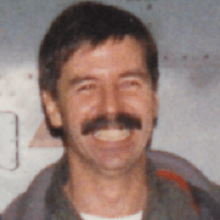 Thanks to Martin-Baker I received additional lifetime with family, children and grand-children and a fulfilling career as Air Force and Commercial pilot. Thank you all. Martin-Baker does a wonderful job.